Have Questions? Click to Call today! Chassis products for a race car, a street rod, or another high-performance vehicle are hard to find. 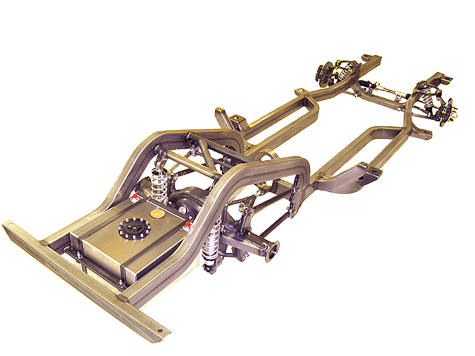 Auto Weld Chassis is one of the leading chassis and custom suspension manufacturers in the industry. We have more than 35 years of experience when it comes to producing the best possible race car, pro street, and street rod chassis products, and we specialize in creating components built to endure the rigorous demands of both the track and the street. 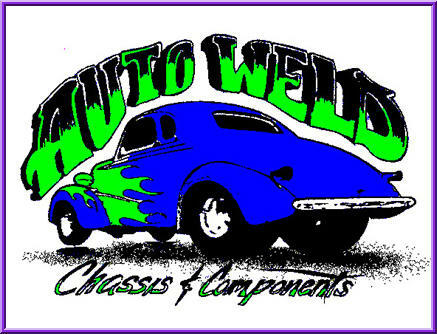 At Auto Weld Chassis, we're the chassis and custom suspension manufacturers you can trust when you need mandrel bent frame rails, frames, housings, and other race and street rod products. Our technicians make every product we sell in our shop using only the highest-quality materials, and their commitment to creating quality components is second to none. Our unique and innovative products have been race-tested time and time again in real competitions, and many of our drag racing cars and trucks have won awards at National Hot Rod Association events as well as events sanctioned by other racing organizations. We've also been responsible for building some of the meanest "street legal" pro street cars and trucks on the road today. 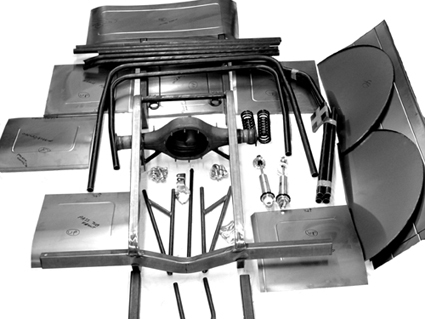 When you purchase one of the kits we have available at Auto Weld Chassis, you'll be able to build your very own high-quality chassis for racing or pro street competitions. We strive to keep our prices competitive and adjust them on a regular basis based on the volatile steel market and fuel charges. Look at our online catalog to find the chassis products you need for your next project build or contact us directly with any questions you might have regarding the products we sell. We also encourage you to check back with us often to see the new products we have in stock since we're always updating our inventory. Call Auto Weld Chassis at 570-275-1411 to see why so many people consider us to be one of the best chassis and custom suspension manufacturers in the business. Because of the volatile "steel market"
always being updated, and is current! the bigger size models together. SOME ASSEMBLY AND WELDING REQUUIRED!